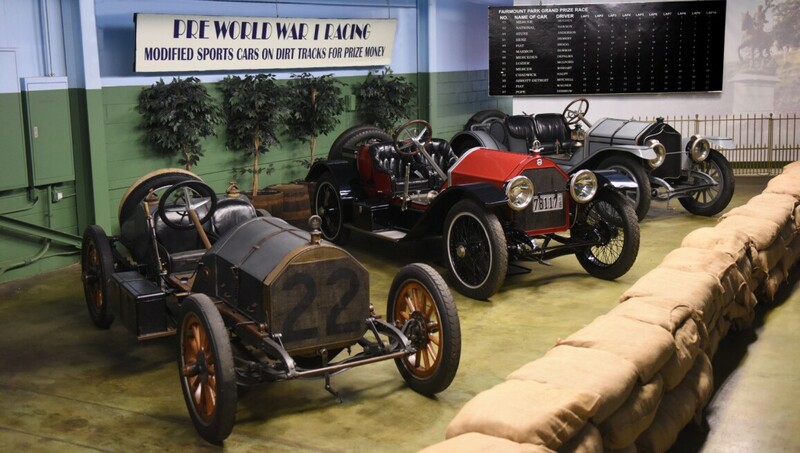 The Simeone Foundation Automotive Museum houses 60 of the world's rarest and most famous race cars, including Alfa Romeo, Bentley, Mercedes-Benz, Jaguar and Maserati vehicles dating from 1909 through the mid 1970s. Displayed diorama-style, famous race courses are represented as well, in line with the museum's theme: The Spirit of Competition. This vision belongs to Dr. Fred Simeone, whose personal collection comprises the museum. Significant cars in the collection include the "Hippie Porsche 917", a 1958 Aston Martin DBR1 driven by Stirling Moss, a Cobra Daytona Coupe, a Le Mans-winning Bugatti, and a 1938 Alfa Romeo, winner of the Mille Miglia.The museum regularly hosts their famed Demonstration Days, which feature cars from the collection, as well as guest cars from other collections, in a themed presentation and demonstration run. Using the expansive three-acre parking lot behind the museum, visitors can see, hear and smell history come to life through these magnificent machines.